The time: an old one. The place: India. There’s this guy named Siddhartha, who was everyone’s love and joy. A wise and decent young man who inspired everyone around him, but himself. He was not content with his life and everything around it, spiritually speaking. He felt it was not enough. And why wasn’t it enough? I don’t know, but it is in human nature to wonder about the essence of things, like the existence of God, of any god. He was in a better position, though. He was certain that a superior entity existed, he just needed to know and feel more. Those who are not sure, who are floating in the middle, those people experience the worst kind of uncertainty, a painful one. Doubt mercilessly corrodes the body until it reaches the soul. After a while, Siddhartha thought that everything he had was not enough to feel satisfied, blissful. He thought that his father and the other Brahmans already gave him all the wisdom they had. But the vessel was not full, the spirit was not content, the soul was not calm, the heart was not satisfied. So, he leaves his family and good friend Govinda, and begins a life of contemplation, hoping to gain some spiritual enlightenment. He became a Samana. However, these guys’ philosophy did not satisfy his heart either, therefore, he continues his quest, alone. A river and a ferryman later, he finds a city called From living a peaceful, contemplative life to livin’ la vida loca. 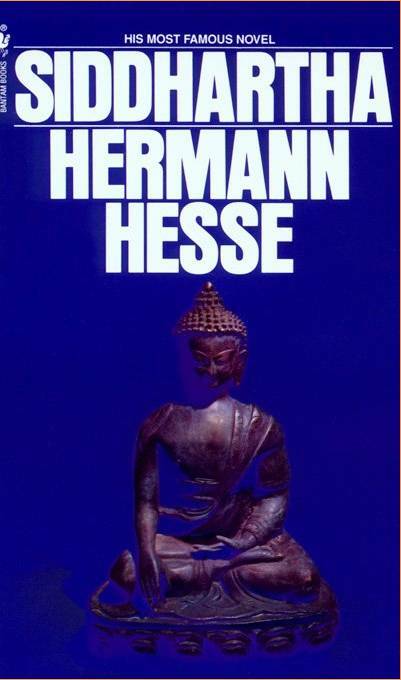 Siddhartha meets a beautiful and intelligent woman who teaches him everything about love and… stuff. Nevertheless, after some years, this empty lifestyle of earthly pleasures tires him, and makes him go back to the river, which gave him the inspiration he was looking for. After some time, after certain situations, he was able to listen to the river’s voice with the ferryman, now Siddhartha’s spiritual guide, and he finds enlightenment. He reaches the Nirvana on his own. This is a beautiful story about a man’s journey of self-discovery. A wise young man that had his ups and downs like every human being. After that time of pleasures and materialism, he went back to the spiritual life he was longing for. However, that time he spent with the woman cannot be considered a waste. He needed that in order to achieve something greater. Everything helped him to gain experience and thus, to return to the path he was intended to walk. Sometimes, we all need to hit rock bottom just to go back to the right track again. And if staring to an apparently talking river helps you and your spiritual growth, so be it. Metaphors, reflections, descriptions, people, feelings; they are all beautifully written. He tends to repeat terms in one passage and that gives it a graceful sound when you read it (and sometimes it is just redundancy). I don’t know if that only makes sense in my head. Probably. I like philosophical novels, and this one was no exception. I don’t know if it is going to change my perspective on life (I think I am still on my “discontent phase” and haven’t found any rivers yet) but it was a delight to read.